Calumny: the making of false and defamatory statements in order to damage someone's reputation. 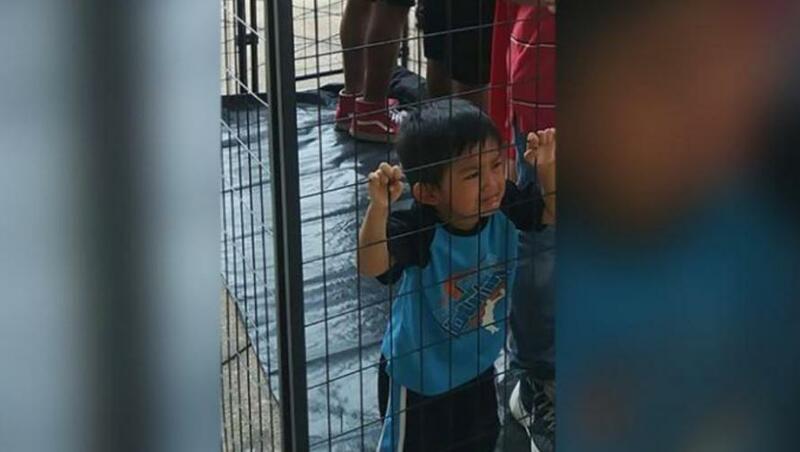 A photo of a little boy crying in a cage is being shared on social media as seemingly another heart-rending byproduct of the White House's "zero tolerance" immigration policy, which separates undocumented parents and kids at the border. But as CNN reports (yes CNN, but we will get back to that), there's only one problem: The picture is being completely taken out of context -- and does not show what it is purported to show. Among them was journalist and filmmaker Jose Antonio Vargas who posted the photo last week on Twitter, saying: "This is what happens when a government believes people are 'illegal'. 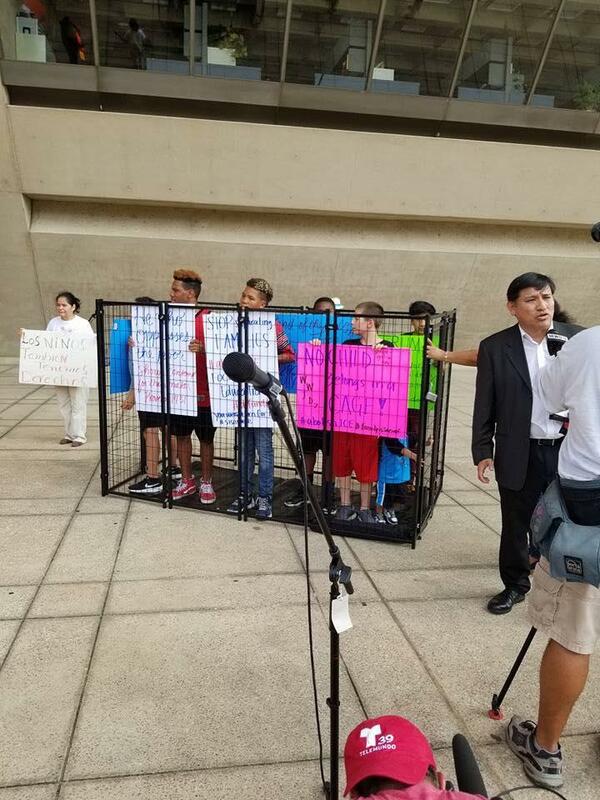 Kids in cages." And that has been 'favorited' 38,000 times (and 10,000 more on Facebook)... but it's a lie. Other Facebook photos from the protest, organized by the Texas chapter of the Brown Berets de Cemanahuac, a Latino advocacy group, show the same boy outside the cage as activists hold signs urging the White House to "stop separating families." 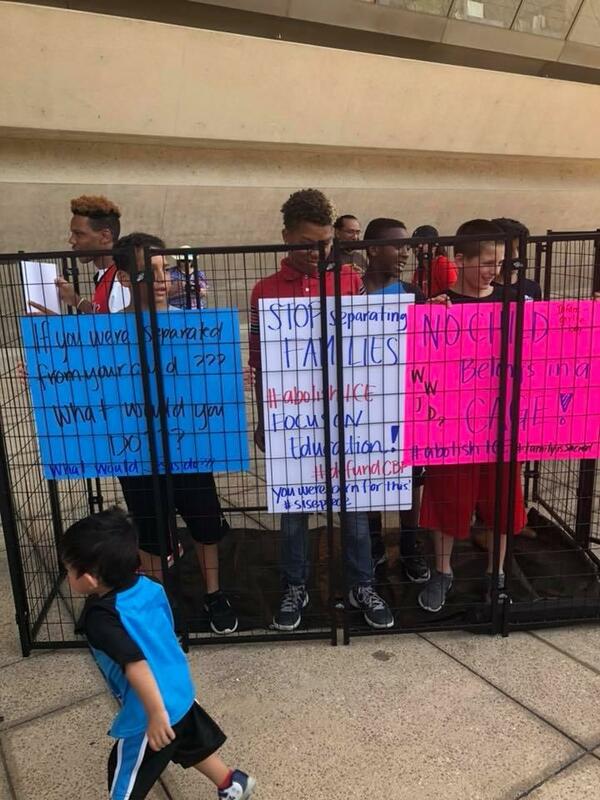 Leroy Pena, head of the Brown Berets' Dallas-Fort Worth chapter, took two pictures of the caged crying boy and posted them on Facebook with the caption: "This was part of our protest yesterday, but this is actually going on right now, at this very moment, in child detention centers throughout the country." The post was later deleted, but a version is still on the Wayback Machine. "Telling me that I shouldn't post an image that, as it happened, was from a protest that staged what is actually happening at the border is like saying actors shouldn't portray characters and situations based in real life," he wrote on Twitter. "This is not a 'cause' for me. This is real." 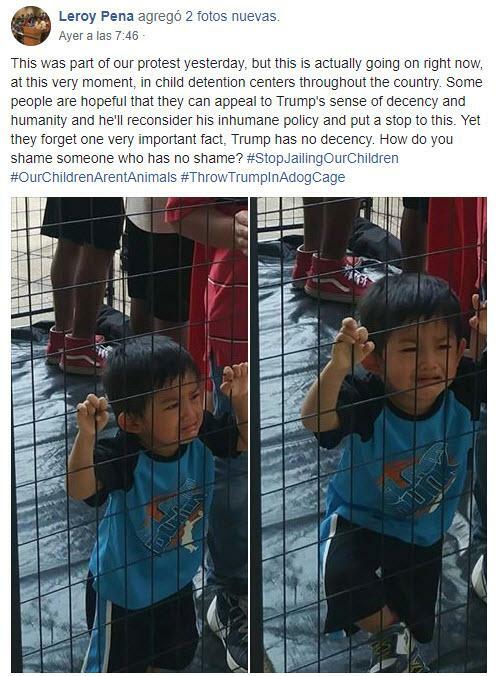 So even after CNN attempted - rightly - to set the story straight on the viral photo of the young boy 'stuck in a cage crying with no mom in sight' they still manage to add just enough fake news an innuendo to their story in order that you come away forgetting that were misled at all. Calumny, indeed!! It's the only tactic they have.